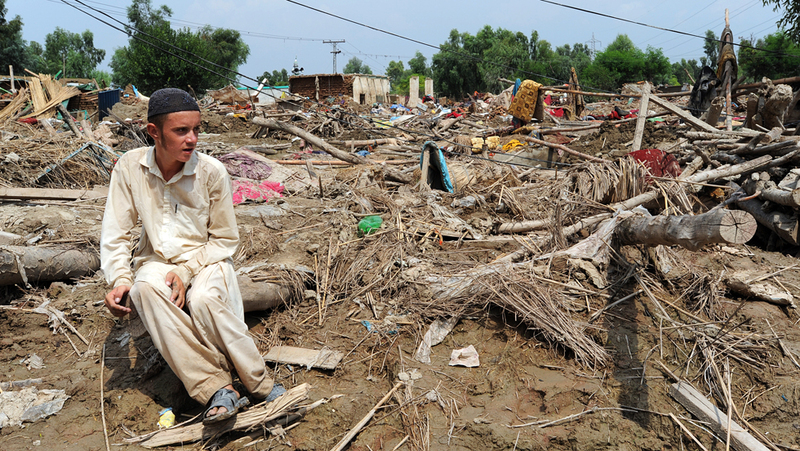 More than 1,400 people have been killed and a staggering 20 million people have been affected by devastating monsoon rains in Pakistan. Entire villages, roads, bridges and millions of hectares of crops have been washed away by the ongoing deluge. 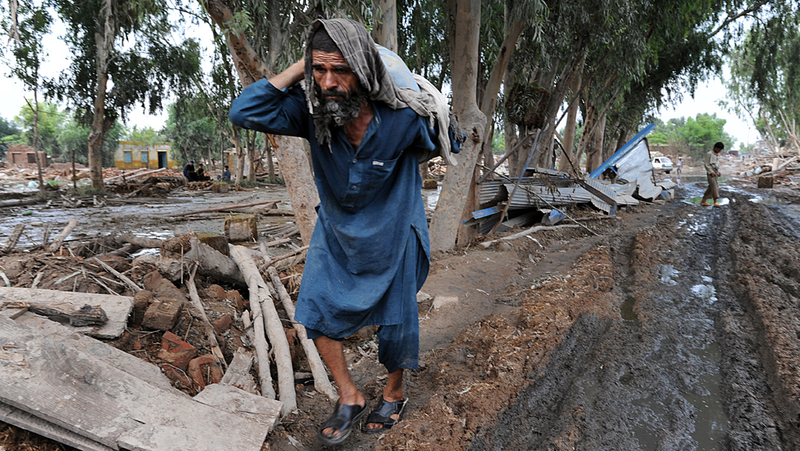 A refugee from Afghanistan sits amid the rubble that was formerly his home in the Azakhel camp near the city of Peshawar in Nowshera district, Khyber Pakthunkhwa province. 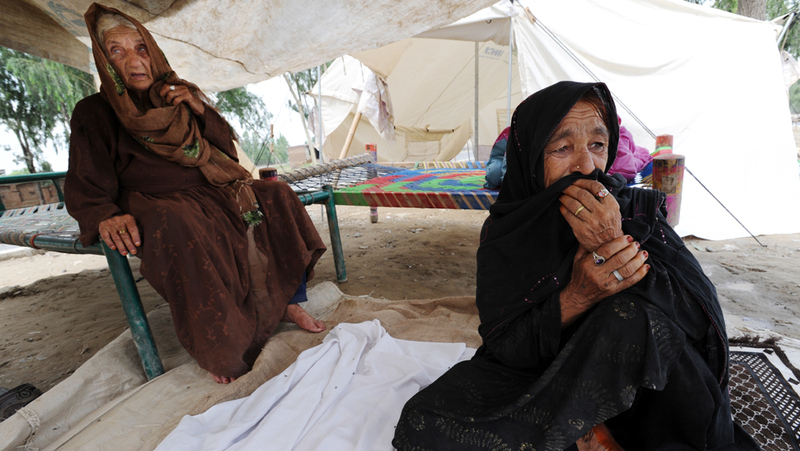 The entire camp, which housed about 30,000 people, was crushed by water when the nearby Kabul River bursts its dams. Almost all the mud houses at Azakhel camp have been turned into clay mounds and twisted debris. 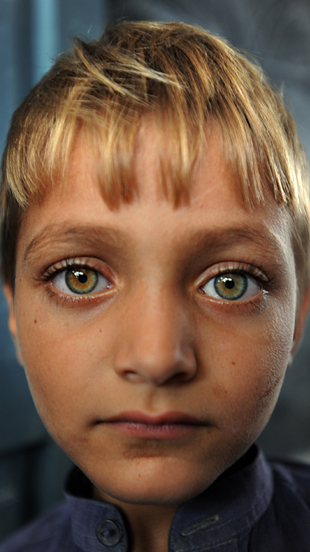 The Afghan refugees have lived at Azakhel for decades after fleeing Soviet occupation and civil war. Now they have once again been forced to flee. Most live nearby, in tents by the side of a busy highway. 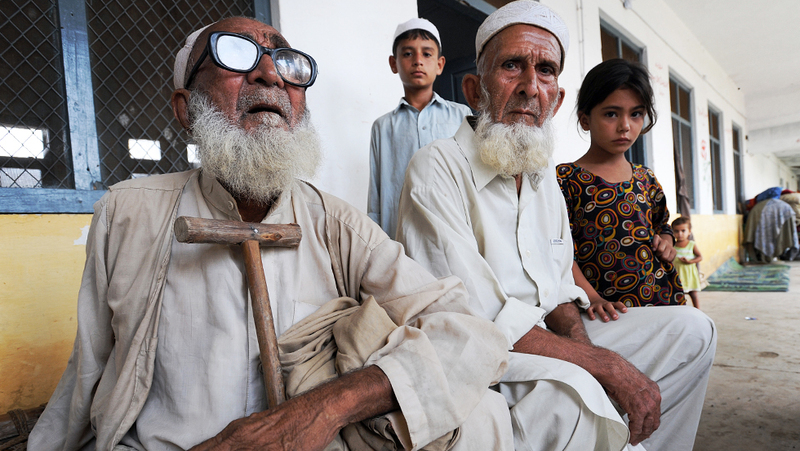 Allah Jan, right, from Azakhel has squatted under a tarpaulin for more than two weeks. "The clothes I wear are all that I own," she said. "The local people here help me with some food, but that is all." 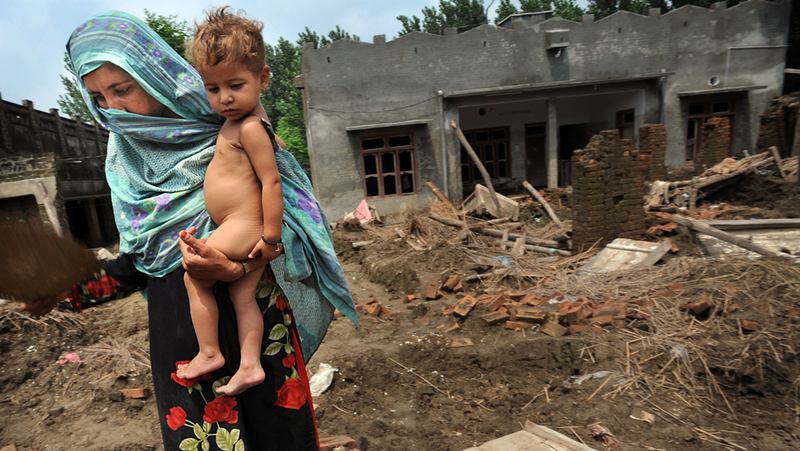 Zubadia Razia, 20, walks through the mud and rubble that was once her home in the devastated Charsadda district. She is looking for a suitcase she kept clothes in, but it is nowhere to be found. 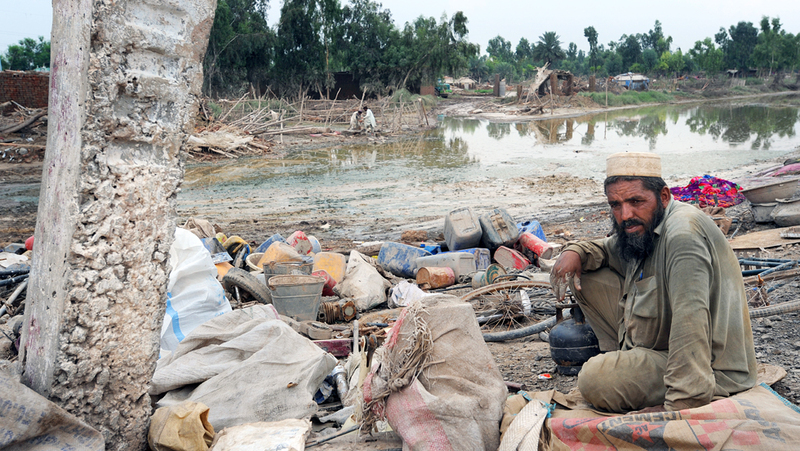 Large areas were damaged when three rivers in the district -- the Jindi, Kabul and Swat -- overflowed. In an empty school nearby, desperate villagers await aid distribution by the International Rescue Committee aid group. 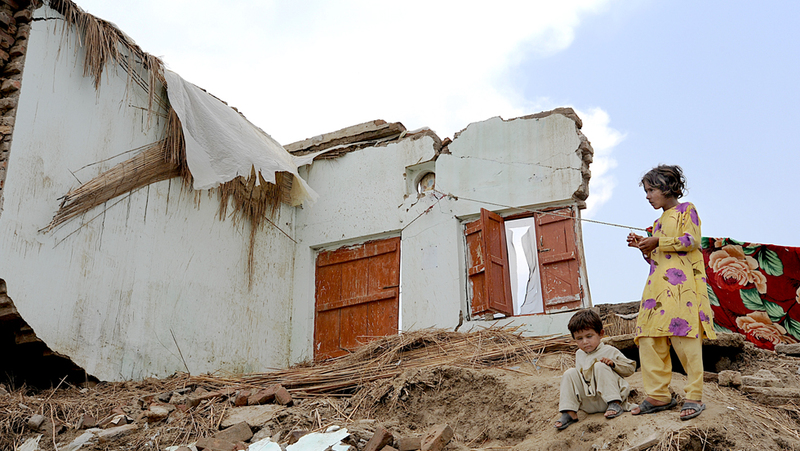 A displaced Pashtun boy whose house was destroyed in the floods has sought shelter at a public building with his family. 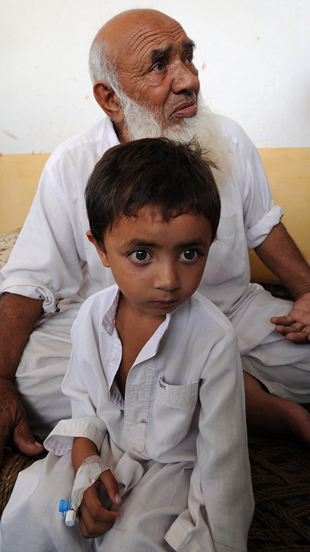 Morsalin and his grandson Muaz are among the hundreds who have found temporary shelter in a school building in Charsadda. "I'm very old and remember the floods in 1955," 80-year-old Morsalin said. "But this is much, much worse." A boy and his young sister await the distribution of aid. The United Nations has warned that a shortage of aid money is threatening 6 million people, the majority of them children and infants, with potentially lethal diseases carried by contaminated water. 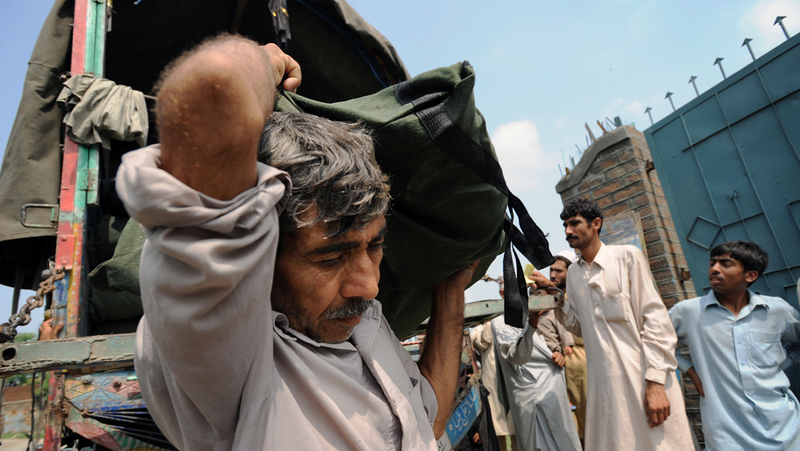 Hygiene supplies are offloaded to hundreds of stranded people in Charsadda. As a first step to thwart the spread of disease, the International Rescue Committee distributes water purification tablets. The next step will be to bring clean water via tanker trucks to the devastated communities. 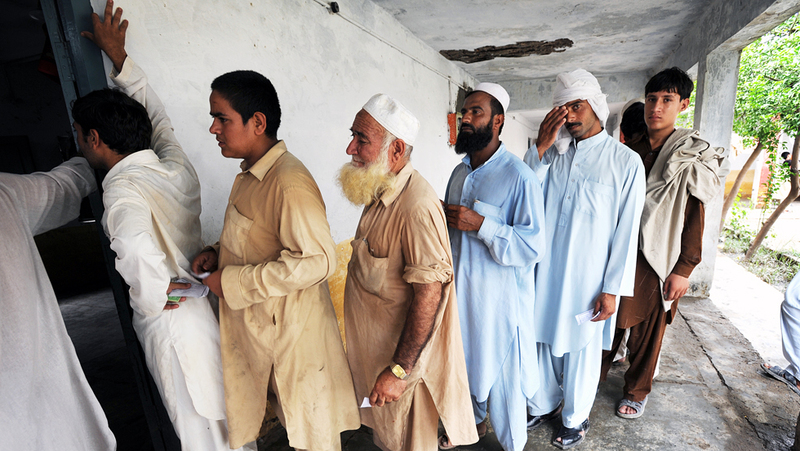 Flood victims queue up to receive hygiene supplies. The lack of soap, chlorine tablets and disinfectants, coupled with contaminated water and the lack of latrines, poses a serious health risk. 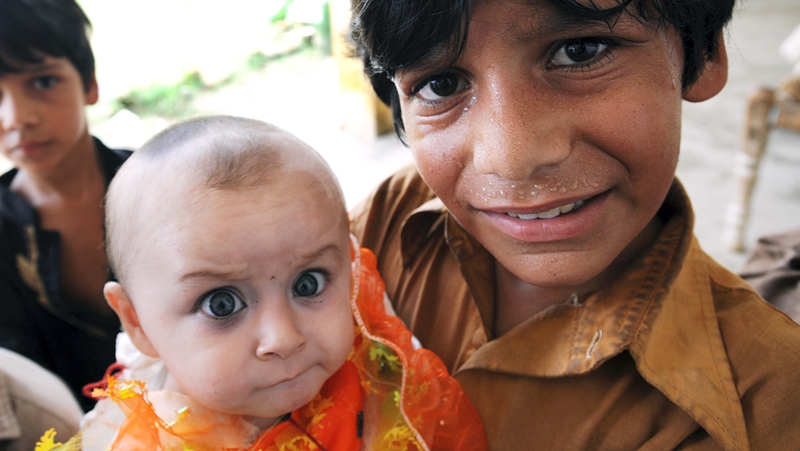 Diarrhea and skin disease have already started to spread with at least one confirmed case of cholera in northwestern Pakistan. 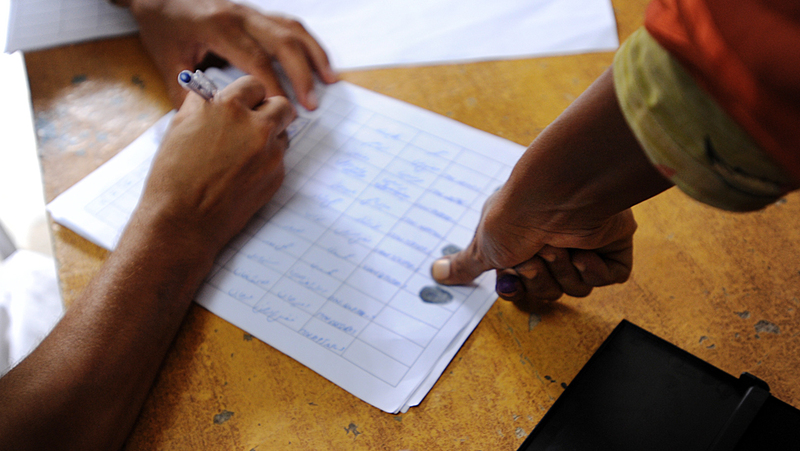 A woman's identification is verified at a relief distribution site. Once this emergency phase is over, the more difficult task of rebuilding shattered communities starts. "The situation is desperate," said Tammy Hasselfeld, the International Rescue Committee's Pakistan director. "It will take a very long time and increased support from the outside world to help people recover from this catastrophe."